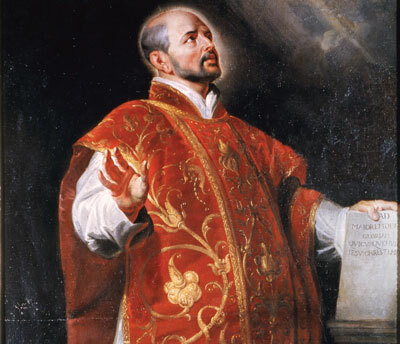 Jesuit education draws its inspiration from the life and teachings of Jesus Christ and its institutional character is based on the principles of formation elaborated upon by St. Ignatius of Loyola. Our educational objective is to prepare men and women for the service of others, specially the poor and the oppressed. We provide the students with many opportunities to critically understand society and its structures so that their education would assist them in working for a humane and just society. Stress is laid on academic excellence, character formation and social concern. Jesuit students are open to growth, intellectual stimulation; they have thirst for knowledge; they believe in God, in self and others. They are peaceful, loving and caring persons, deeply respectful of all faiths; they have a strong sense of solidarity brotherhood; they are physically fit, morally sound and emotionally balanced. They love their country and they are culturally integrated. They show their love and respect to Mother Nature by being sensitive towards her protection. They walk the extra mile to transcend borders of every sort. An important principle of Jesuit education is care for the whole person. Jesuit philosophy of education places a student’s humanity first, creating a personalized educational environment. We care for every student and in turn teach the students to care for others so that the human race becomes like one community and family. Jesuit education helps the students to discover and develop their talents through a curriculum that includes a variety of curricular and co-curricular activities. Students are expected not only to gain mastery over their subjects but also to explore their talents by participating in co-curricular activities. This creates a person whose talents go beyond specialization and who is capable of effective communication, leadership, and creativity. This is done by participating in discussions, debates and presentations. Our educational objective is to prepare men and women for the service of others, especially the poor and the oppressed. Our goal is to make our students agents of change and persons of concern, compassion and conscience. The world can be bettered. Instead of cursing darkness, our Jesuit students light a candle and stand up for one’s convictions and conscience, never yielding to forces of darkness. Students are provided with many opportunities to critically understand society and its structures so that their education assists them in working for a humane and just society. Jesuit education fosters in its students, faculty, and staff a sense that they are all members of a human community in solidarity with people across the globe. Students and staff members are expected to be citizens of change by becoming aware of and engaged in with local and global concerns and issues - climate change, consumerism, violence, injustice, caste and racial discrimination, global warming, etc that affect all of humanity. By being engaged in with these issues staff and students will be able to make a difference. Studying the subjects is the major task of the students. They are expected to invest their time and energy into their academics so that they achieve mastery over their subject through attendance at classes, library work, seminars, group discussions, project work, field trip and other means. Our goal is to develop in the student’s power of critical thinking and generate new ideas and initiatives. Character development is an essential aspect of education. A person is what his/her values are. Character includes one’s behaviour, values and attitudes to life and to others, and the way we face life. We help the students to build up their character, develop a sense of hard work, perseverance, honesty, integrity, sensitivity to others and universal love that embraces all people, cutting across barriers of language, religion and caste. Essential to any character formation is self-discipline, for and lack of discipline results in chaos. The rules of discipline in our institutions are meant for social well-being, order and harmony. Our programmes help the students to develop initiative, confidence and social values. Education is a tool to enhance the quality of life. Jesuit institutions provide the students with many opportunities not only to develop themselves but also to gain insight into the institutionalized injustice in society. The students are expected to be perceptive to the forces of communalism and casteism that threaten harmony and peace, and inflict hardship on the common man. It is the vision of Jesuit Education to train students who are socially conscious and ready to stake their lives for the oppressed and the exploited. Then alone we will have succeeded in our mission. 8. ECOLOGICAL SENSITIVITY Sustainable development is the need of the hour. We create awareness on the need to protect our environment and combat further depletion of natural resources and climatic change, by adopting eco- friendly life style. By making environmental education part of their formal curriculum, we help our students get sensitized towards environmental and ecological issues.